Proudly sponsored by Stradbroke Ferries and All State Security. 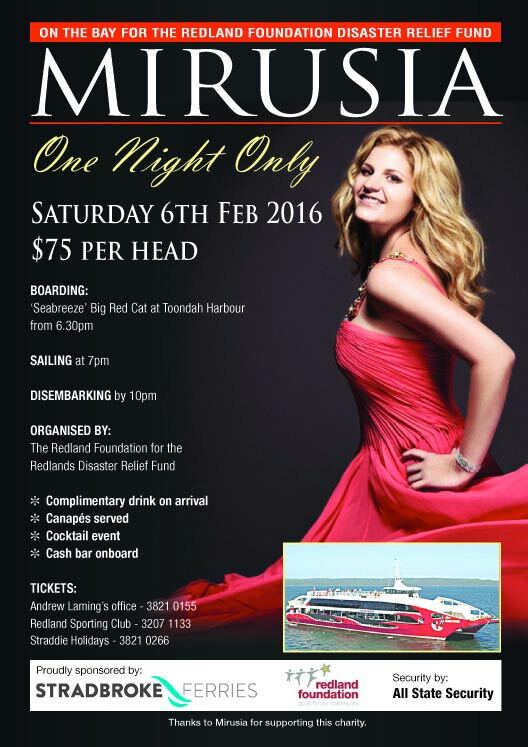 The Redland Foundation is delighted to announce our first special event in 2016 featuring our ambassador, Mirusia. 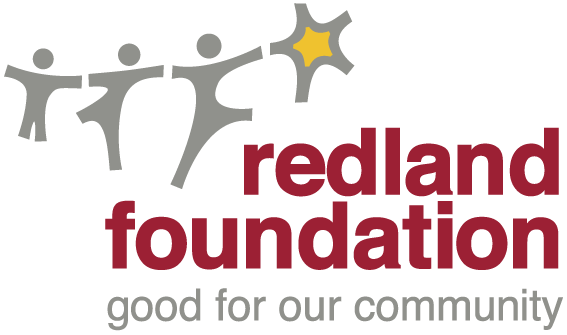 Along the way, we’ll enjoy delicious canapes and cocktails and share that special sense of community that is so uniquely Redlands as we raise funds to support the Redland Foundation’s Disaster Relief Appeal. With numbers strictly limited, you’ll need to book your tickets early if you don’t want to miss out.